Written by Brook Reilly. February 15, 2012. Residents know the economy and housing market in Cleveland have been hit hard these past few years. But the city and inner-ring suburbs like Cleveland Heights have began to bounce back despite the tough economic circumstances and are symbols of hope and recovery, according to an article in the latest issue of American Bungalow magazine, which came out today. Douglas J. Forsyth, historian at Bowling Green State University, wrote the article, "Progressive Architecture, Friendly Relations: Making It Work in Cleveland," for the spring issue of the national magazine. “Since mid-2010, employment in the Cleveland area has come roaring back from devastating losses, driven by what the New York Times has called ‘the new urban market trends of the 21st century—health care, higher education, entertainment, good food, new housing and expanded mass transportation,'” Forsyth wrote. "Many of the effects of these trends have been most visible in and around historic early-20th-century inner-ring suburban neighborhoods." 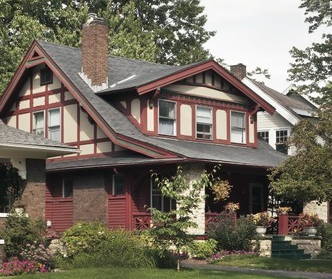 Kara Hamley O’Donnell, city and historic preservation planner in Cleveland Heights, announced that the city was highlighted in the magazine in a press release. Tags: American Bungalow, Cleveland Heights Homes, Cleveland Heights Patch.